The Long Point Country Club Resort consists of a multi-use development including residential, commercial recreational, institutional and open space uses. The multi-use development shall replace the existing the former Marineland Aquatic Park, which ceased operation in early 1987 and the existing Rancho Palos Verdes City Hall facility. The 230.72-acre project site is made up of two separate parcels under separate ownership. The two separate parcels are referred to as the Long Point Property (100.26 acres) and the City Property (130.46 acres). 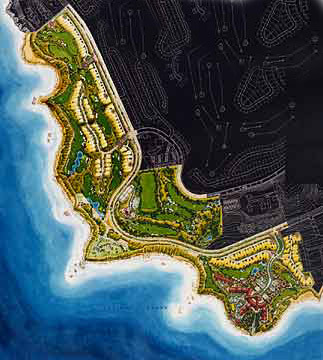 The Long Point property is currently fully approved for a hotel with 450 rooms and casitas, a 9-hole golf course, a 30,000 square foot conference center/community center, 25,000 square foot spa/fitness center, seven tennis courts and one stadium court, 15,000 square foot Galley West Restaurant, and a 10,000 square foot country market and cafe. The proposed project is intended to modify the existing approvals. 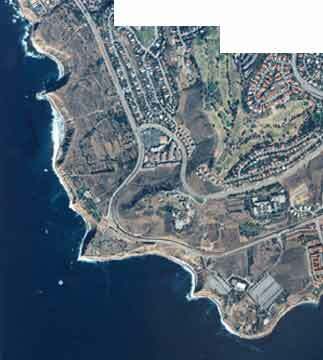 A 400-room destination resort hotel, a championship 18-hole golf course and clubhouse, associated retail, a maximum of 75 low-density residential units and 100 medium-density units, a 30,000 square foot city hall facility, and improvements to the Point Vicente Interpretive Center are proposed. The resort hotel will include 250-400 traditional hotel rooms, and 100-150 courtyard timeshare units to be managed by the hotel. The resort also includes the following facilities: restaurants, banquet facilities, retail, health club, swimming pools, tennis courts, and an 18-hole championship golf course. In addition, a 25-unit employee village associated with the hotel is also proposed. These units will consist of an affordable product intended to satisfy a portion of the City's "fair-share" housing needs. Units will only be available to employees of the resort hotel or golf course.